Alabama lost treasure sites are listed on this page. If you ever dreamed of finding a treasure hidden by an outlaw, gangster, or a wealthy person, but was not sure where to start. Then you have come to the right place. This page including my entire website can jump start you on an adventure of a lifetime. I have also provided you with links below that you should click and review. But before you begin your search, you need to understand that locating a buried treasure takes research. To find out more about researching for treasure, visit my page here. 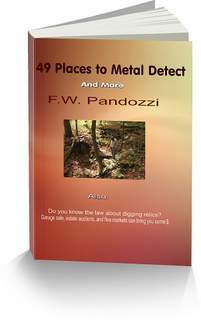 Often I am asked if metal detectors should be used when searching for buried treasures. My answer is always the same. Yes. However, do not purchase an expensive detector. 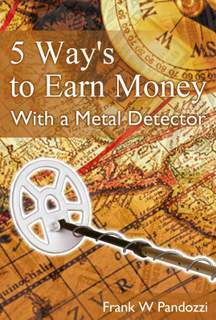 Too many times people new to treasure hunting spend more than they should on their first metal detector. You can buy a reliable detector for a few hundred dollars. Good luck! And have fun in your search for Alabama lost treasure. Fort Mims – State route 59, a few miles from Tensaw in Baldwin CountyThis Fort was built by the local settlers in 1813 as protection from the Indians. There were approximately 100 buildings. The Fort was soon attacked and almost all of the settlers were murdered. A few survivors stated that some of the sellers, knowing of an impending attack, had buried their money before the raid. The McGillivray Plantation – near County 47 a few miles north Wetumpka CountyThis plantation dates back to the middle 1800’s. It was destroyed by an Indian attack. It has been rumored that a cache of silver and gold coins are buried there. Fort Morgan – on Mobile Point approximately twenty miles west of Gulf Shores on State 180.Seven Spanish ships from a fleet of thirteen went down in a storm near this Fort. Treasure and artifacts have been located on the beach near there. Jean Lafitte the pirate may have buried gold coins on a beach in Bayou la Batre. The Ghost Town of Old Cahaba located on route 22 approximately 14 miles southwest of Selma, was used as a Confederate Fort during the Civil War. It was abandoned in 1870. This would be a nice area to use a metal detector in. Ask for permission when on private property. And understand the federal law. Here is a synopsis of the federal laws. Thanks for visiting my page. I hope you found the information helpful... and good luck in your search for Alabama lost treasure!